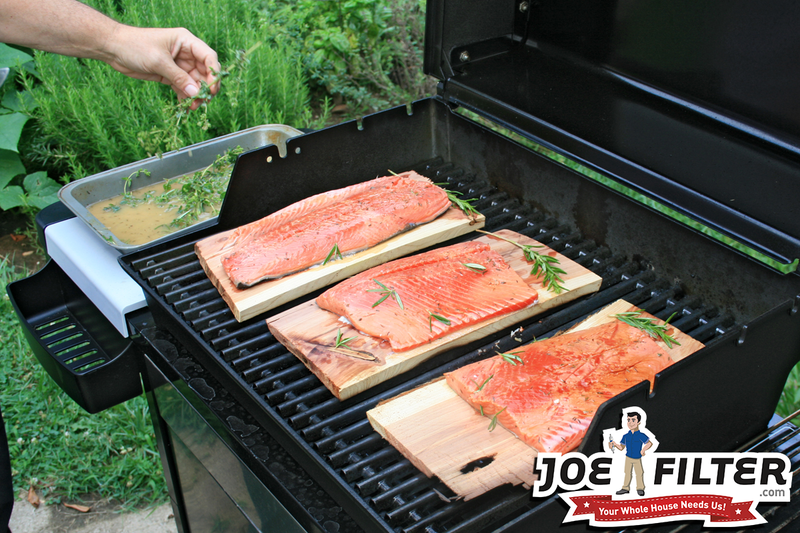 the Joe Filter blog: Healthy Seafood grilling! Seafood both freshwater and saltwater are a great edition to any barbecue. Fish like salmon, swordfish and trout are low in fat and full of vitamins, iron and protein. 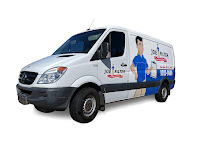 This makes them a healthy alternative to the traditional grill favorites like steak, hamburgers and brats. However, being healthy doesn't have to mean it won't taste as good or even better. Their are several delicious gourmet recipes out there when it comes to fish. 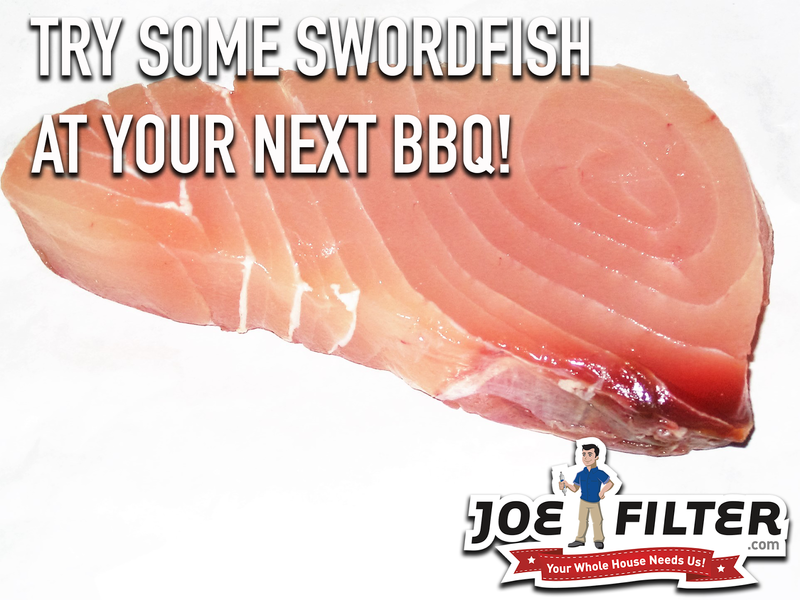 Below I will share two great fish grilling recipes, one for salmon and one for swordfish. Both of these are two of the healthiest fish to eat. Mix together the garlic and lemon juice with the olive oil in a bowl. Gently brush a generous amount on to the salmon. Sprinkle with salt and pepper if desired for extra taste. 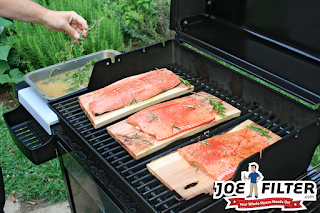 Lay the salmon onto your wood grilling planks. Lay a few Rosemary sprigs around the salmon on the hot grill and sprinkle the rest on the salmon itself (see picture for reference). Cover the grill and cook salmon for between 10-15 minutes or until flaky. Remove the skin from the salmon and discard it and the rosemary. Garnish salmon with fresh lemon slices and serve. Combine the oil, mint, lemon juice, basil, and garlic in a medium bowl and mix together with salt and pepper. Brush the swordfish with 2 tablespoons of the mixture. Preheat the grill on med-heat. 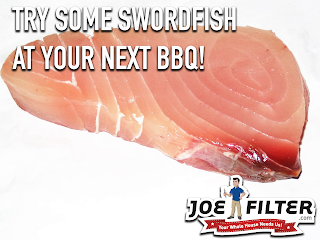 Put the sword fish on the grill and cook 3-5 minutes per side. Take the swordfish steaks off the grill and put them on a plate. Drizzle the rest of the olive oil mixture onto the steaks and serve. 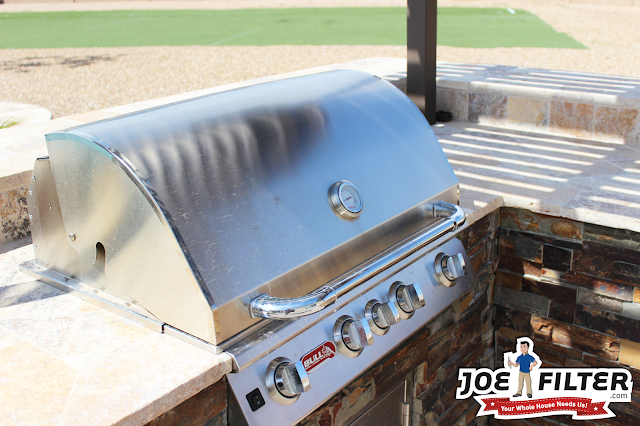 Always remember to clean your BBQ grill after cooking!